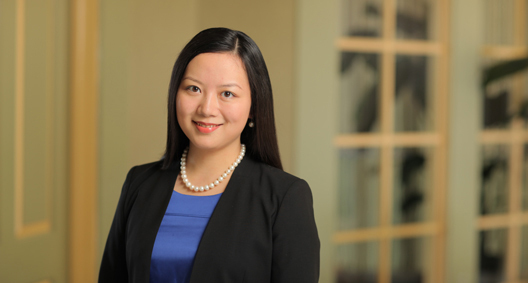 Sally Qin is experienced in the areas of antitrust investigations and litigation. She also counsels multinational corporations to formulate strategic business plans both in the U.S. and overseas, particularly in China. Sally interacts with domestic and foreign officials on matters involving U.S. competition matters, international affairs, custom and border control, quality and quarantine, international trade, consumer protection, media communication, and other issues. She advises clients on international litigation matters, including financial service, tax controversy and policy compliance. Born and raised in China, Sally gained experience there while working for The National People's Congress of China, CCTV, China Daily and SMG, which gives her particular familiarity with the details of business and political life in China. Spearheaded an investigative team to determine the facts regarding cartel allegations involving a large company in the industry under investigation. Designed, coordinated, and organized electronic and physical discovery to ensure relevant information had been obtained. Designed and implemented international investigations in various industries. Prepared and implemented presentations to the United States Department of Justice in criminal and civil investigations. Prepared witnesses to testify, and subsequently defended them in providing their testimony. Litigated several MDL antitrust class actions following governmental investigations. Prepared and implemented compliance training programs for clients. Assisted a multinational corporate client in obtaining a business permit from OFAC. Assisted U.S. officials in preparation for trade missions to Asia, and advised them on the exporting of agricultural products.